I’ve made it a goal of mine to try and simplify the process as much as possible. Less is more and that starts with your actual bags. There is a lot you can’ avoid brining when traveling, like the pack and play or stroller, but you can reduce the amount of extra bags you have. I used to pack a bag a person, makes sense right? It actually makes things a lot messier. 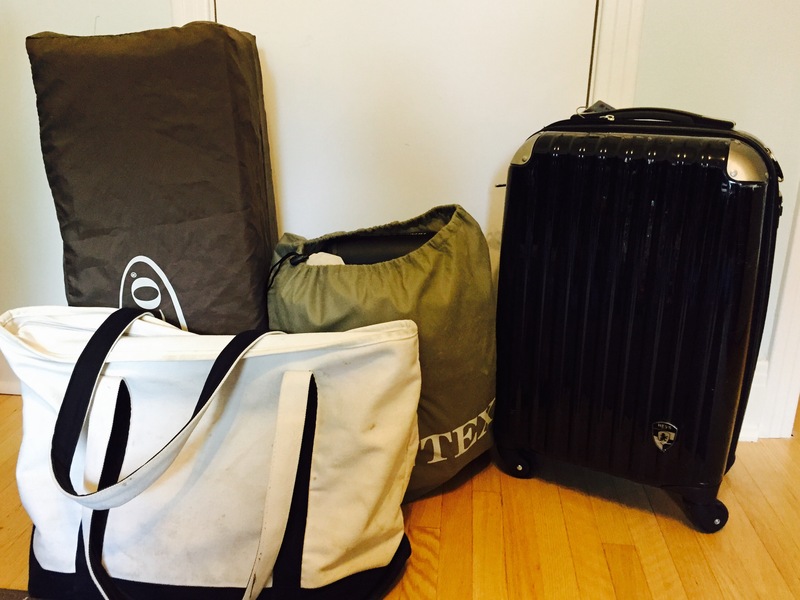 It’s a lot easier to lug up 1 suitcase for the entire family vs. several little ones. You may be wondering: But what about the essential items you need? Won’t it be hard to grab those if they are at the bottom of the one suitcase? Good Point – I’ve got you covered. I use a really versatile backpack as my diaper bag (I got mine from Mountain Equipment Co-op but any bag will do). First off, it’s a backpack so that leaves my hands free (key when you’ve got little kids). 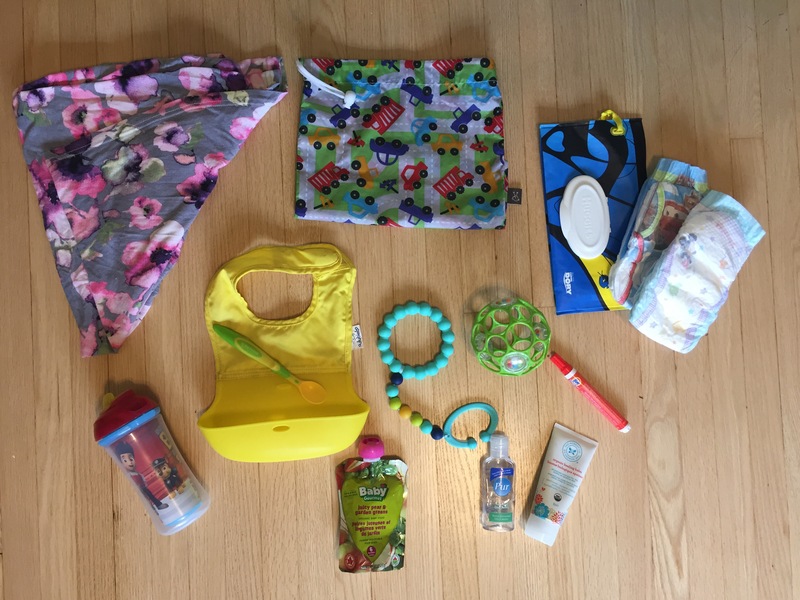 One tip is that the bag should have water bottle holders on the outside, a compartment for your stuff (wallet, papers, phone), and a separate compartment inside the main bag so that you can divides the diapers and wipes from everything else (easier to get at). In the backpack itself, I have all the go-to essentials including these must items: Silicone Baby Bibs, Munchkin Paw Patrol Click Lock Insulated Straw Cup, change of clothes for the kids, breast feeing cover, diapers, wet wipes, “On The Go” Wet Bag (for anything that is nasty in the bag), hand sanitizer, hand cream/healing balm, snacks for everyone (think packaged stuff that has a long shelf life), baby food pouch, sunscreen, and anything else that I know i’ll need quickly. This ensures that at any pitstop, we have everything we need without having to open the larger suitcase. A beach bag with our towels and swimmers as we are spending the day at the beach before checking into our hotel. I hope this helps inspire you to minimize your stuff! Until next time!